Small Business Minister Kelly Tolhurst will today (Monday 10 September) put forward new laws to arm small businesses against unfair contracts that stop them raising money from unpaid invoices. Currently a small supplier’s contract with a larger company may prevent it from securing invoice finance from providers such as banks and other investors. Under the new proposed laws, any such contractual restrictions entered into after 31 December 2018, with certain exceptions, would have no effect and could be disregarded by small businesses and finance providers, which will help stop larger businesses from abusing their market position. The new measures are expected to provide a long-term boost to the UK economy estimated to be worth almost £1bn. The UK’s 5.7 million small businesses are the backbone of our economy and central to our modern Industrial Strategy, with more than 1,000 starting up every day. These new laws will give small businesses more access to the finance they need to succeed and will help ensure they have a level playing field from which to set fair contracts with the businesses they supply. The proposed laws come as a number of larger businesses stop their suppliers from assigning ‘receivables’ – the right to receive the proceeds from an invoice. This assignment is essential for invoice finance to operate. Restrictive contract terms are often used by larger businesses to maintain a hold over their suppliers, with small suppliers often unable to negotiate changes to the proposed contract because they do not have enough power in the marketplace. The legal changes are set out in the draft ‘Business Contract Terms (Assignment of Receivables) Regulations 2018’. The estimated current value of the stock of invoice finance to SMEs is approximately £9.5 billion. Restrictions on invoice finance for SMES in contracts agreed on or after 31 December 2018 will simply not have any legal effect in this way, so the changes introduced by the government involve no compliance or reporting burden to businesses. Contracts can be expected to evolve over time to reflect the regulations. Invoice finance allows a business to raise funds by assigning their right to be paid (known as ‘receivables’) to a finance provider in exchange for funds, typically representing 80% of the value of the invoices. The initial advance is received within a few days and the balancing 20% (less fees and charges) is paid when the customer settles the invoice. Invoice finance is not borrowing, because the supplier is receiving an advance against a future payment. Some purchase contracts include terms that prohibit assignment, which prevents (or inhibits) access to invoice finance. Suppliers sometimes accept these contracts because of their weak negotiating position. It is these contract terms that the regulations will address. 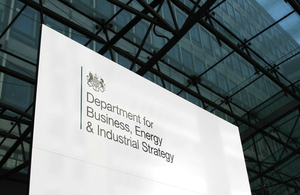 The Regulations would apply to SME suppliers and contain exceptions for certain types of contract, such as contracts for financial services, contracts with consumers and contracts connected with the sale of a business.
. Government announces new measures to boost funding for small businesses. 2018-09-10.